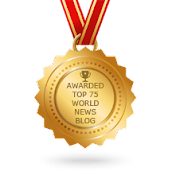 War News Updates: Iranian Nuclear Talks Near Collapse? (Reuters) - A major speech by Iran's Supreme Leader has limited the ability of the Iranian delegation at high-level nuclear talks to make concessions with six world powers and this could scuttle chances for Tehran to reach an accord to end sanctions, diplomats said. In a public address filled with technical detail, Ayatollah Ali Khamenei said last week Iran needs to significantly increase its uranium enrichment capacity, clashing with the powers' push for it to be reduced to minimise the risk of nuclear bombmaking, as July 20 deadline for a deal nears. The talks with the United States, Britain, France, Germany, Russia and China are aimed at a long-term accord on Iran curbing its nuclear energy programme in exchange for a gradual end of sanctions that have crippled the OPEC member's economy. 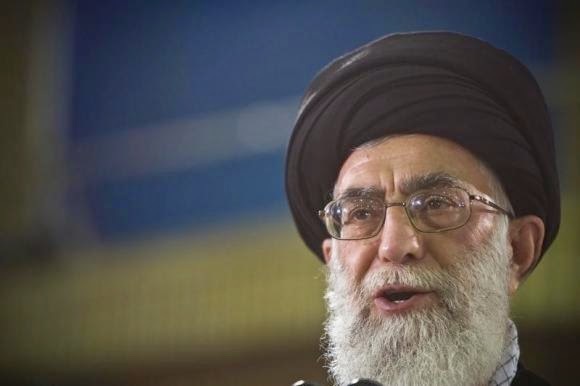 My Comment: Iran's Supreme Leader Ayatollah Ali Khamenei is the "real ruler" of Iran .... and what he says is official Iranian government policy. I posted his speech last week .... and I even commented that if this is the official position of the Iranian government .... the talks are dead (unless the West caves in). Considering the geopolitics of the world today (Ukraine civil war, Chinese maritime demands, Iraq civil war, etc.) .... I doubt that the West can afford to look like they are caving into accepting Iran's nuclear enrichment demands .... hence .... these talks are now only going through the motions until the July 20 deadline for an agreement. After that ... either a postponement .... or a decision that the talks have reached a point where the differences are now irreconcilable. My prediction .... a delay in the timetable for an agreement .... but on a practical level .... these talks are now dead. What happens if the west "cave" in and acsept the terms of Iran? If these talks collapse are there any consequenses or wil there be no change? What is Israhels role in this, i have read that they are agains the talks and they are very hostile towards Iran? If Iran wants nuclear weapons can they get them regardlsess of this agreement or not? You ask good questions Rhaegar .... but everything is "fluid" right now .... no one is sure on what will happen next when these talks are concluded .... including me. Ok thanks for answer:) Do you have any sources and/or friends in Iran? If yes what do they think of these talks? I have just one good contact, but he is someone that I do not know well.